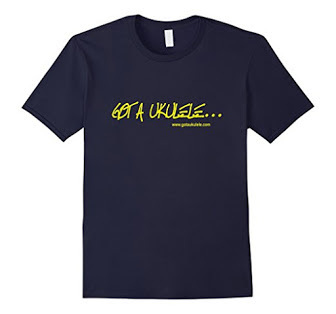 Why The Fear Of Changing Ukulele Strings? but a few discussions regarding changing ukulele strings on various social media channels lately brought me back to thinking about the real fear some people have in changing uke strings. This isn't intended to re-hash the arguments over 'when should I change my strings' or 'what's the best brand' as I covered that subject before here. No this one goes back to something far more fundamental - and that's the increase in the number of people who really panic or avoid changing their strings altogether. By way of some examples, these range from the 'oh I still have the same strings on that were on the uke when I bought it two years ago as I don't fancy changing them' to the 'I broke a string, but I had to take it to my club / friend to get them to change the strings for me'. Most bizarrely of all is an increase in the number of people reporting that they actually choose to PAY someone to change their strings for them. In one discussion I saw a guy explaining that he was paying around $30 for a string change because it gave him 'peace of mind'. Seriously? Sorry, to me that just seems completely crazy, particularly when you consider how easy it actually is. 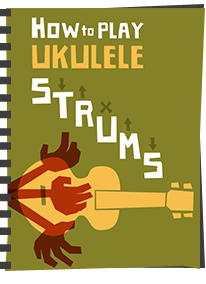 You see, when you choose to play a ukulele (or any stringed instrument for that matter), you really need to understand that you WILL need to change strings at some point. At some point they will either just become impossible to tune properly, or at some point a string will snap. Fact of life, they don't last forever. 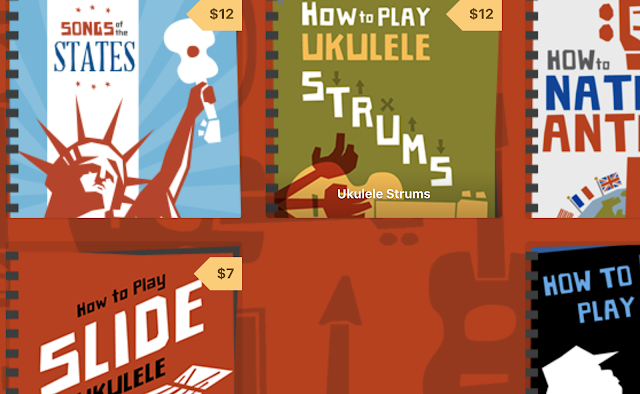 More importantly, strings are MEANT to be changed on a ukulele. They are consumables. They are meant to come off and go back on. 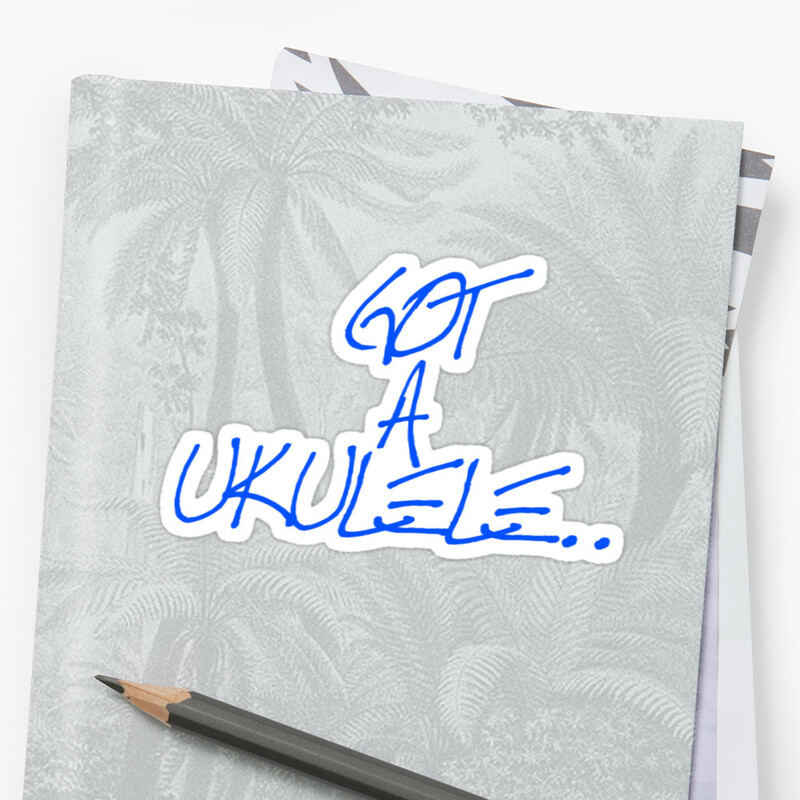 And surely as part of your decision to start learning the ukulele, alongside other practice regimes you put yourself through, surely surely the practice of changing the strings on your instrument should really form part of that learning? Think of it as like the importance of knowing how to change a wheel if you buy a car, changing the fuse in a plug if you are a homeowner, changing the ink cartridge in a printer, or even changing a light bulb. Granted, those three things have different difficulty levels, but here's the thing - changing a ukulele string really is right there with changing a fuse or a lightbulb. And there is something else to string changing that I think is important and isn't often talked about. The process of doing it will work wonders for your connection with the instrument and how it works. 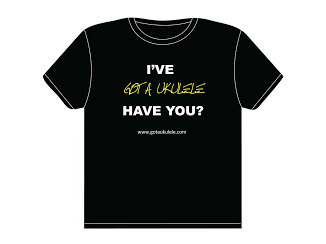 You are getting right into the heart of what makes the ukulele play and getting hands on with your instrument. Add to that, the process of tuning up from scratch and it really is a good bonding exercise with your uke. Seriously. I am interested in where this 'fear' comes from that pushes people to foist their ukulele on someone else to do the job for them. At the end of the day, changing a string only requires one knot and a bit of winding at the other end. 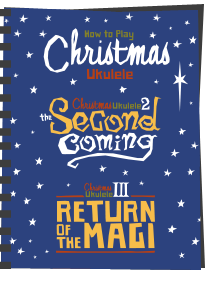 You are not going to damage the ukulele, and nothing is going to happen that cannot be simply reversed. In fact if you get it wrong (and first time, you probably WILL) the worst that can really happen is that you snap the new string and have to get another, or at the least it will ping out of the bridge or peg and scare you half to death. (That still makes me jump..) Not really a big deal though is it? So what are the biggest challenges that people worry about? Well the first is the bridge end of things. 'Oh, I can't understand those knots...' Really? With a slotted bridge it is simply a case of tying a granny knot (or perhaps two) that are big enough to not let the knot slip through the gap. With a tie bar bridge, granted the knot looks a little more complicated, but it really isn't. In fact it's just a granny knot too with a couple of extra winds. In fact in the world of knots, the bridge knots on a ukulele are significantly easier than tying a bow in a shoelace. The second challenge is the 'but they keep slipping off the tuning peg' point. This does happen, but the simplest way to stop that happening is to actually tie the string to the post. That is to say, pull the string all the way through, then feed it back through the hole and pull it tight - then start winding the strings. There is no way that is going to slip, but it can look a bit messy. With practice though you will learn how to get the wrapping right so that the coils themselves lock the string firmly. I suppose the other fear is the 'but they just keep going out of tune' point. Yes, yes they do. Nothing I can say will change that, it's perfectly normal and you haven't done anything wrong. It just happens. 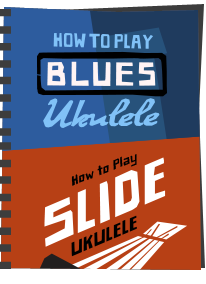 Leave the ukulele tuned up a step or play it hard and keep re-tuning. They will hold eventually. This issue affects EVERY single person who has changed a string, so it's nothing to panic about. Don't ge me wrong, string changing is a chore that nobody really enjoys, but that isn't because it's difficult. It's because it's boring and takes a bit of time! But I would still encourage any new player of the ukulele to start practicing this early. Get a new set tomorrow and put them on. If you go wrong, take them off and try again. And again and again. Get it right? Take them off and do it again, and again anyway. Trust me, you will soon see it as a shoelace and wonder why you were avoiding the process. You may have already seen that I did a couple of videos regarding string change knots at the bridge (both tie bar and slotted types) which may help you below. But the best way is just to get on with it! I do wonder sometimes though whether ukulele ownership should come with a Compulsory Basic Training course! More ukuleles are getting string thru bridges these days..would love to see a video of those being changed also. First video is a string through bridge Shelley - or do you mean a bridge with pins? I suppose it's just another example of people being afraid of their instrument. Afraid that the thing will just burst into flames if they make one small mistake. I think you highlighted something similar, Baz, in your video on attaching a strap button and whilst I can understand why people might be hesitant to go around drilling into their instruments, I don't get the fear of tying a few knots in a set of strings. If you muck it up, all you have to do is untie the strings and start again. I assume Shelley Mai is referring to designs where the strings are threaded through holes in the body of the uke. While a pin bridge is one such design, it's not the only one. I like the idea of those as you are not applying a shear force to the glue bonding the bridge to the body and so are less likely to 'pop' the bridge. OTOH, string changes are probably more fiddly. I kind of understand people's anxiety over string changes if they are new to the ukulele. I felt the same but, at the end of the day, it\s not difficult and you really do have to grasp the nettle and get on and do it. As you rightly say, strings are something you're going to have to change at some point and doing it yourself ain't difficult. Perhaps the anxious need to find someone to help them first time. Ah right - if a pin bridge - they are as easy as a slotted bridge - just a knot in the end of the string and push the pin in place! I enjoy changing the strings and change them as soon as they don't sound as good to me. The Living Water strings on my main are still sounding good and are still stable after about 18 months so I have left them but very few of my Ukes are on their first set of strings. I would suggest that the first time you change your strings, buy two sets so you have spares when you mess up. Looking back it would have delved me. I did manage via a bit of a fudge to retrieve my mistake but a spare would have made life easier.